Even Pope Francis, in being asked who he is, declares he is a “sinner.” All have sinned, and therefore, we all seek redemption. 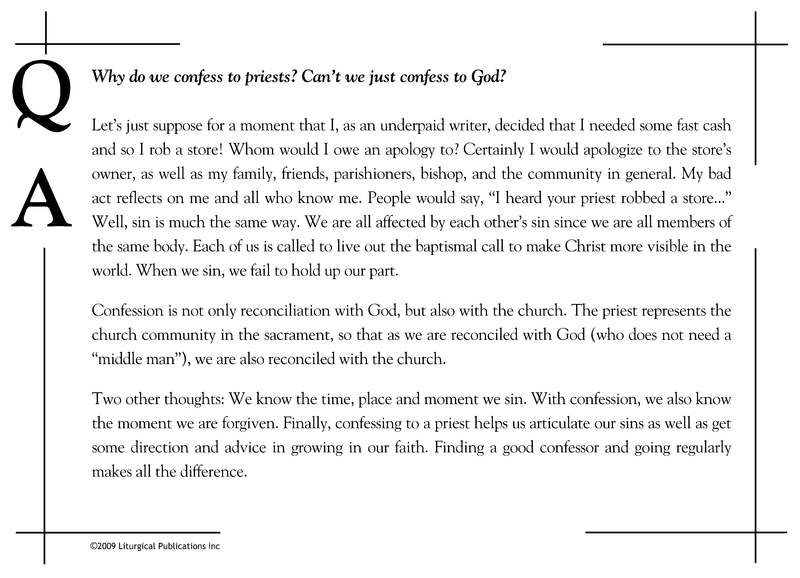 The Sacrament of Reconciliation is known by other names, which are interchangeably used. 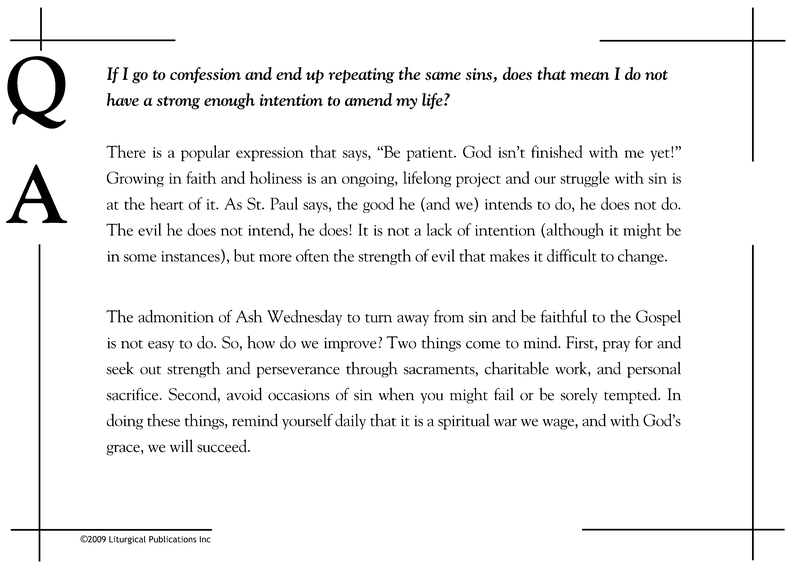 We sometimes refer to it as the Sacrament of Penance. 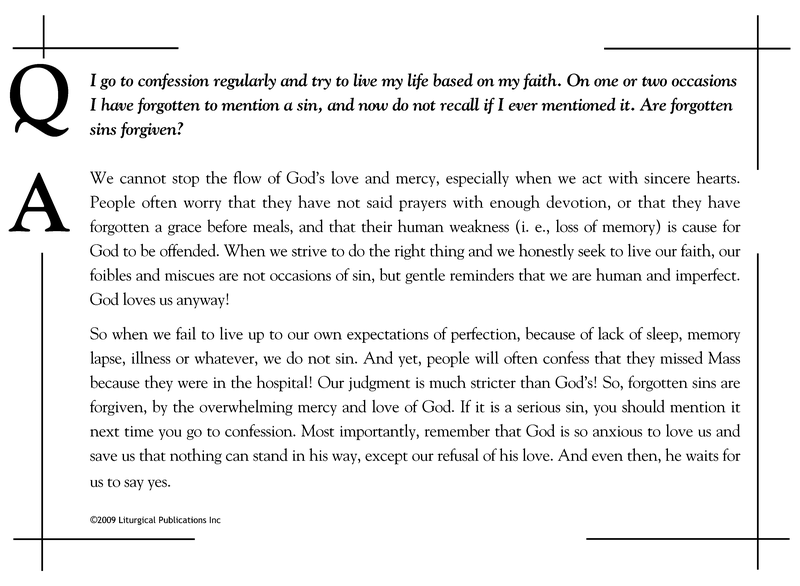 Even more familiarly, it is known as Confession. There is no difference. This sacrament is a beautiful gift of forgiveness for each of us. Please avail yourself of it as often as possible. The sacrament also gives us strength to face difficult situations ahead, by calling upon God’s help. Reconciliation is held each Saturday at 5:15 pm, or you may call the office to schedule another time that is more convenient for you. What if I go to confession and end up repeating the same sins? Why do we confess to a priest?